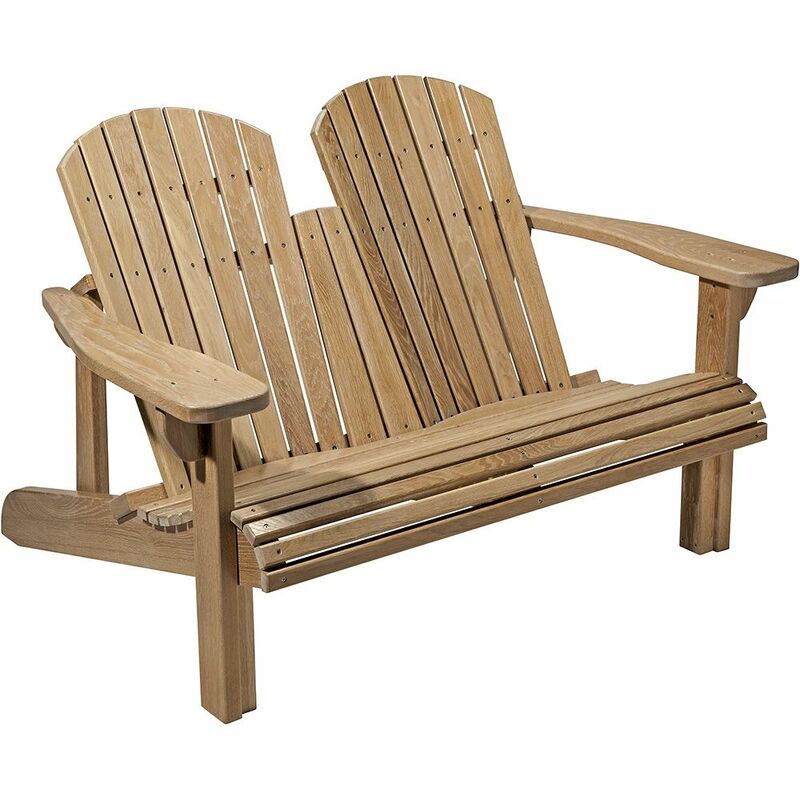 With contoured seats and backs for two people, this design is perfect for relaxing conversation with a friend. 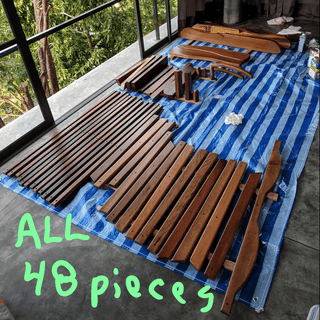 Hardware Pack includes all the stainless steel screws and fasteners required to build our 2-seat Adirondack Bench (sold separately). 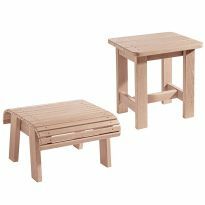 Pre-cut full-size cardboard templates make building this bench as easy as trace, cut and assemble! 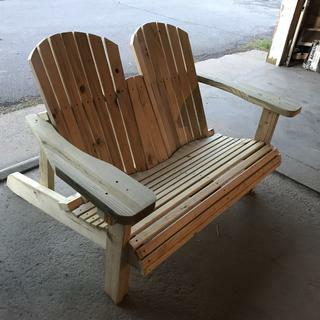 And perhaps no woodworking project is so immediately rewarding to the tired craftsman as a comfortable, welcoming Adirondack bench. 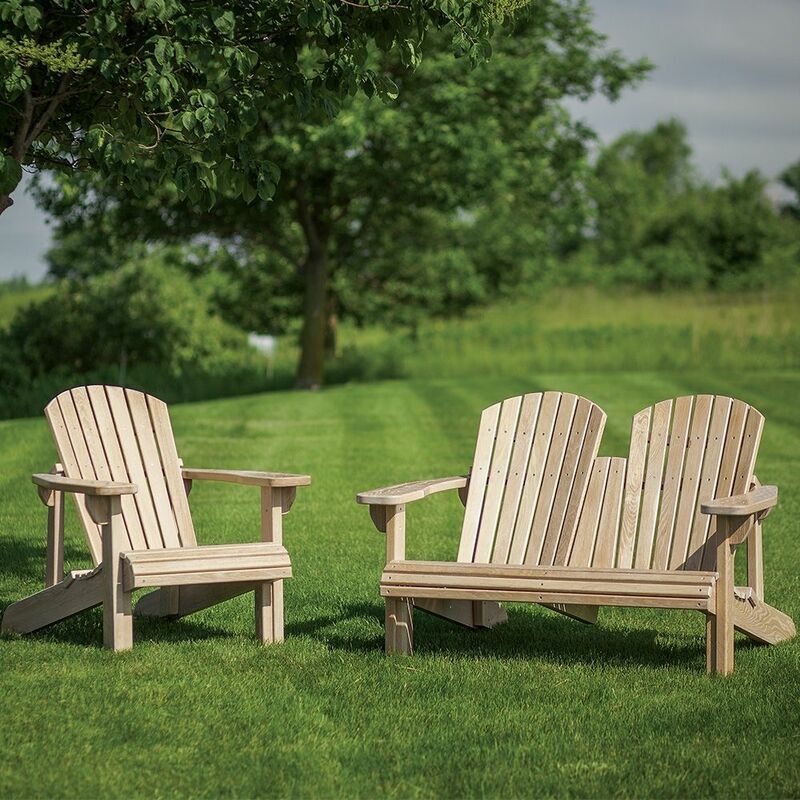 With wide arms to perch drinks on, and contoured seats and backs for two people, this design is perfect for relaxing conversation with a friend. The plan includes step-by-step instructions to walk you through the entire construction process. 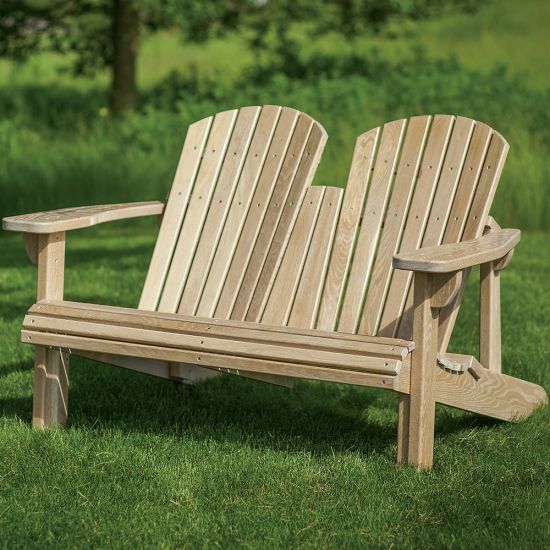 We've retained the same easy-to-build qualities of the classic Adirondack bench, but designed the frame and armrests for even better durability. 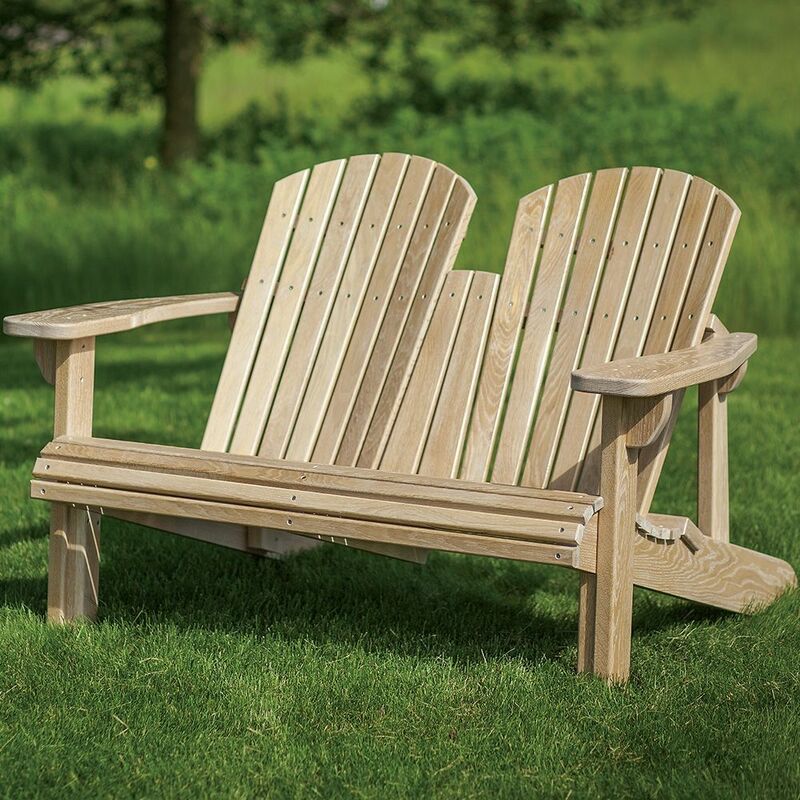 We've made it easy to purchase all the fasteners you need to build one of our Adirondack Benches (#48773, sold separately). Rather than searching through bins at the hardware store or searching for multiple items online, our kit makes it as simple as one click, for one low price. 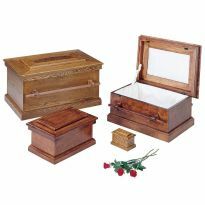 Spend less time shopping and more time woodworking! All fasteners are made of stainless steel for maximum resistance to the elements. And not for a second did I trust to make pre-drilled pilot holes that "should" match up with drilled holes that used the templets as guides. Just clamp the small pieces on and make your own pilot holes. I see others mention here that their holes didn't line up. 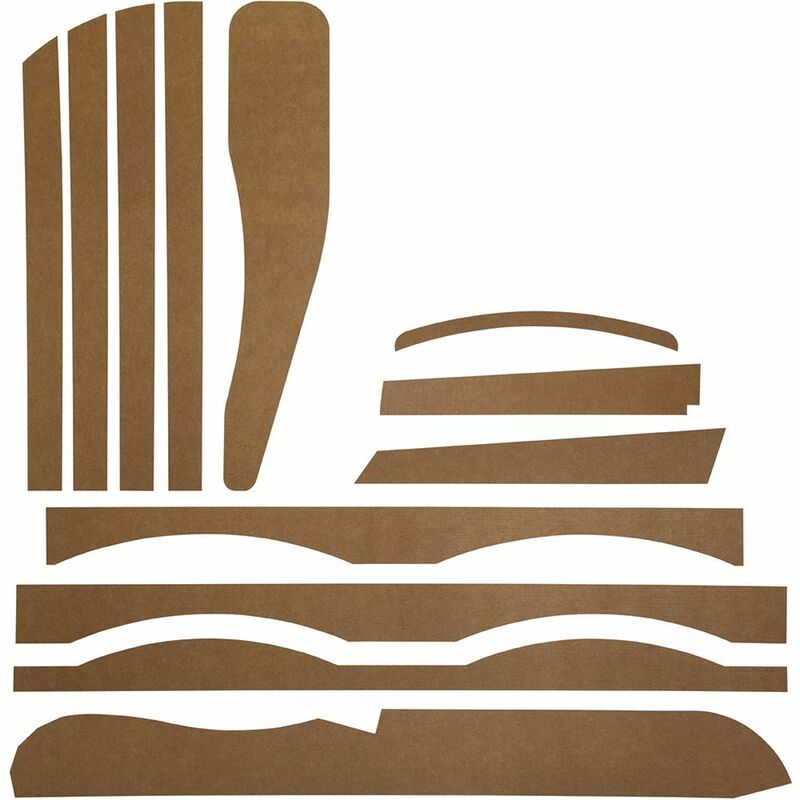 For me, it turned not a big deal to perfectly follow the curved traced lines on the big pieces. It was impossible for me to do so as I didn't have a band saw and was using a hand held jig saw in hardwood...very hard wood. I was worried that the slats wouldn't fit perfectly, but they did. Everything worked out fine. 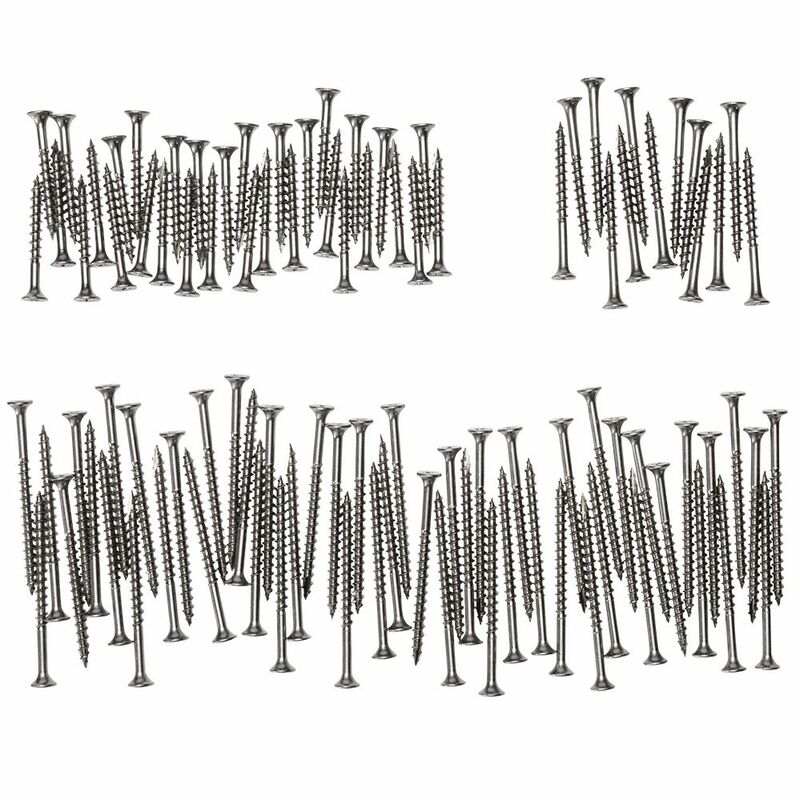 Rockler gave a scaled drawing for a very important support for the legs, but they failed to mention that it is a 75 degree angle which is much more accurate then measuring some tiny scaled drawing and trying to figure out what 5/64th would be in inches. Just take the base measurement of the piece of wood and miter saw off the top at 75degrees. Also, the last piece of "seat slats" (meeting the backrest slats) needs to be "scooped out" a little bit so the height is just a little lower than the slat next to it. 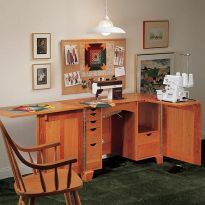 The bench is fantastic, but I lost a little admiration for Rockler for not paying attention to most everyone's complaints about the lack of templets. 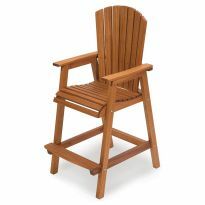 The comments for the single chairs should be read if you are just starting woodworking. Rockler gave someone the list of tools they will need, and they are correct: you will need A LOT of tools. There also is a helpful video in the Rockler channel on YouTube. I don’t know where the stainless steel hardware pack comes into the picture. Because that is not existent. Also. There are a few pieces that don’t have templates so you have to figure them out by yourself. Read carefully. Some parts not included. If you're like me, you "skim instructions". Instructions are more of a "guideline" than a rule. Well, if you do that in this case, you will find yourself preparing to begin assembly only to find that you are missing parts because not all parts are included in the drawings provided. 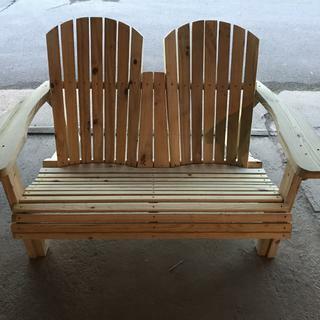 Also, I found that using 1X lumber simply made the bench too flimsy for my taste. 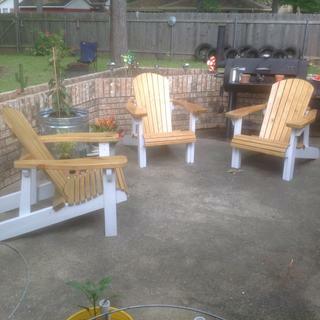 Everywhere it called for 1x lumber, I used 5/4" decking. It produced a much more sturdy looking and feeling product. 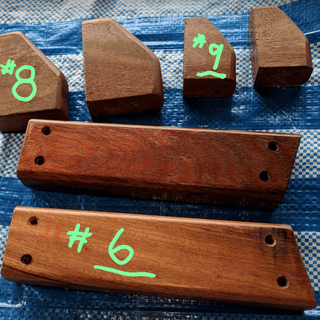 With some careful modification, you can produce a fine bench. Wife upset I let you see my scrap wood in the background. She needs to get busy with her firepit. I have ordered these materials from your company before and I find them to be excellent. 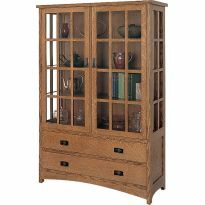 Excellent quality materials and easy to follow plans. because the frist set of templates. did not have no#10.in the box. this set of plans is similar to my own. Your set of plans looks more high end than my. A friend asked me to make a couple for her. Because it was what I was looking for. 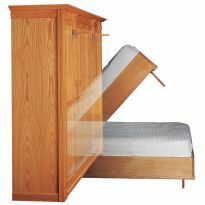 I have been looking to build this and will build it for myself and my kids. 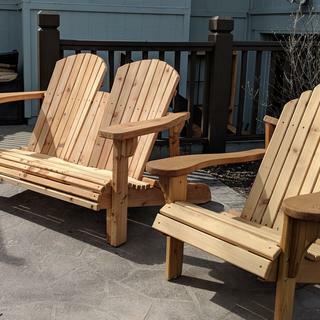 It looks very classy and comfortable and after years of building multiple adirondack chairs for various people, I want to try something different. gift for my daughter and her husband. How many Board Feet is needed? 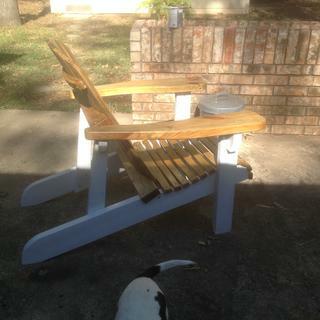 What specific tools are needed to build the chair? 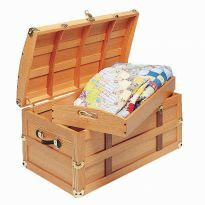 Aside from basic tools a Skill saw and a jig saw would be needed. A band saw and a table saw will make this project much more enjoyable. How deep is this bench, measured from the back most point to the front most? In other words, if it were pushed against a wall, how far would it protrude out from the wall? Thanks! 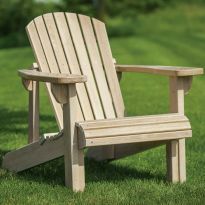 BEST ANSWER: So far, I have only made 7 of the single seat version of the Adirondack, and it measures 38" from the wall. I would assume the double (bench) version would be similar.